It happens every morning when I have my coffee. You may think I am exaggerating but I’m telling you this is absolutely delicious – you’ve got to try it – seriously! 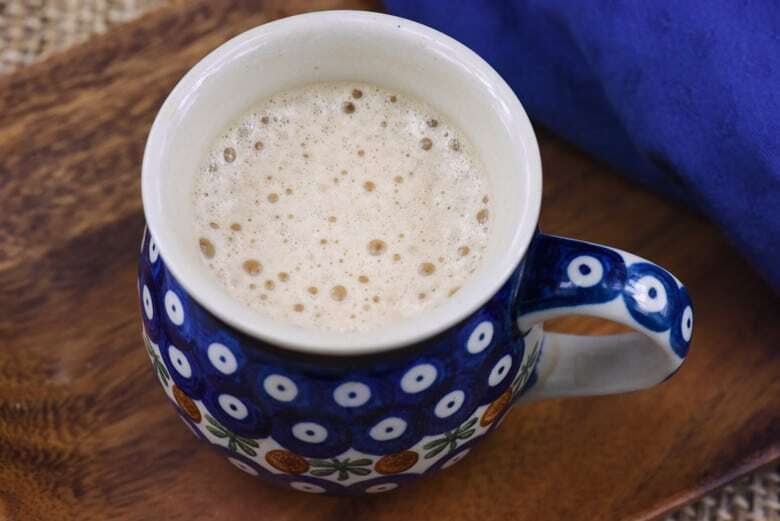 Healthy Coconut Coffee makes every plain cup of coffee I have taste really bland. And, I don’t even sweeten it! Is a healthy fat containing medium chain triglycerides (MCT). MCT’s are fatty acids of medium length which are metabolized differently than long chain fatty acids. MCT’s are used as quick energy sources since they go from the digestive tract to the liver. Here they are turned into ketone bodies which have proven therapeutic in epilepsy and Alzheimer’s. May help increase metabolism thus encouraging weight loss. May help prevent disease. Coconut oil contains lauric acid and when digested, coconut oil also forms a monoglyceride called monolaurin. Both lauric acid and monolaurin can kill harmful pathogens like bacteria, viruses and fungi potentially fighting infection. May help curb the appetite and promote weight loss. The good fats make you feel full. Is loaded with saturated fats which can raise the HDL or the good cholesterol – this helps your overall cholesterol level. I tend to go in spurts and that is what I have done with coconut oil. I went for quite awhile adding a tablespoon to a cup of coffee, stirring and then slurping the oil off the top. I got used to it but it was easy to get out of the habit of taking it daily. Then, I saw an article touting coconut oil as an Alzheimer’s cure. This got my attention! Briefly, Dr. Newport used coconut oil to treat her husband’s early onset Alzheimer’s with amazing results! In her book, Alzheimer’s Disease: What if There Was a Cure?, she gives more details about what and why she added coconut oil. In sharing this article with a friend, she told me about adding coconut oil to her coffee and blending it – thanks, Joy! The light bulb went off – Amazing – I had never thought of doing that! No more oil puddles sitting on the top of my coffee. She further explained that she also added gelatin to her coffee! Gelatin – from grass fed cows – is a great source of collagen protein which is good for your joints, hair, nails and skin! Now, before you say, “yuck”, you have to try it. I use my immersion blender and like I said before, it is delicious – frothy, creamy and healthy! It is a gourmet specialty coffee right from my own kitchen! Oh, I feel so pampered! Add ingredients to a large cup. I use a 4 cup measuring cup. Using an immersion blender, blend thoroughly - about 30 seconds. An immersion blender or regular blender can be used.